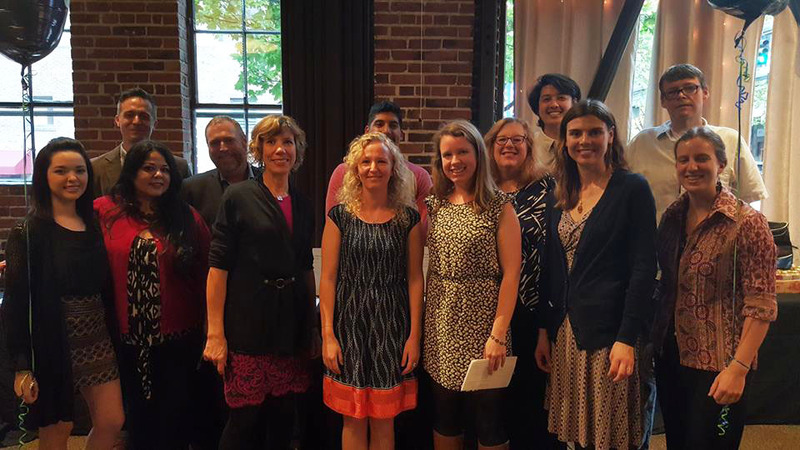 Posted on October 29, 2015 by Gordon McHenry, Jr.
On October 25, I had the opportunity to represent Solid Ground alongside Speaker of the House Frank Chopp (also Solid Ground Senior Advisor and former Fremont Public Association Executive Director) at FamilyWorks Resource Center & Food Bank’s 20th Anniversary Sunday Supper & Auction celebration. It was a joyful and inspiring evening. For 20 years, the resource center has provided comprehensive, strength-based programming to support families in conjunction with the food bank. In addition to providing nourishing food, FamilyWorks creates programs that support and help develop parenting and life skills for individuals, families and teen parents. Dedicated food bank volunteers from the early years of the new building. Marge, 2nd from left, still volunteers at FamilyWorks! Throughout the 20th Anniversary celebration, many stories were shared about the lives touched by FamilyWorks. One story I found especially moving featured a FamilyWorks food bank recipient who is now a trusted FamilyWorks volunteer as well as a resident of Santos Place on Solid Ground’s Sand Point Housing campus. It is an impressive feat that our colleagues at FamilyWorks have provided critical resources to our shared community for 20 years. In particular, I would like to thank Ms. Jake Weber, FamilyWork’s Executive Director, who has been a moving force there since the agency’s foundation. She served two years on the founding board followed by 18 years of service as Executive Director. At the dinner, FamilyWorks announced the first-ever Kerwin Manuel Impact Award, named after the late Mr. Manuel for his dedicated and courageous service to FamilyWorks and their program participants. Frank and I were honored and grateful to accept the award on behalf of Solid Ground, in recognition of the special partnership that exists between our two organizations. I’m proud of the long-lasting and meaningful partnership that exists between FamilyWorks and Solid Ground. As FamilyWorks nourishes and strengthens individuals and families by connecting people with support, resources and community, Solid Ground works to end poverty and undo racism and other oppressions that are root causes of poverty. Our region is a better place because of FamilyWorks’ important work and the partnership we continue to share. My Saturday morning at the Union Gospel Mission’s 118 Design Workshop was a morning of simple metaphors. Ricky Jordan sat me and my 15 DukeEngage companions down and pulled out two $1 bills. One was clean and crisp – the kind of dollar bill you’d be proud to pull out of your wallet. The other he crumpled between his fingers, and then stomped under his foot for good measure. Which one did we want? The clean one, fine. But which one had more value? The Union Gospel Mission possesses the unique insight that people unfairly judge themselves based on the image society projects on them. The ministry targets youth heavily influenced by gangs in the Rainier Valley. After having future job prospects crumpled by gang affiliation and incarceration, many of the youth forget that a dollar bill is a dollar bill. I think after being metaphorically laminated and framed on the wall, my Duke friends and I needed the same reminder. 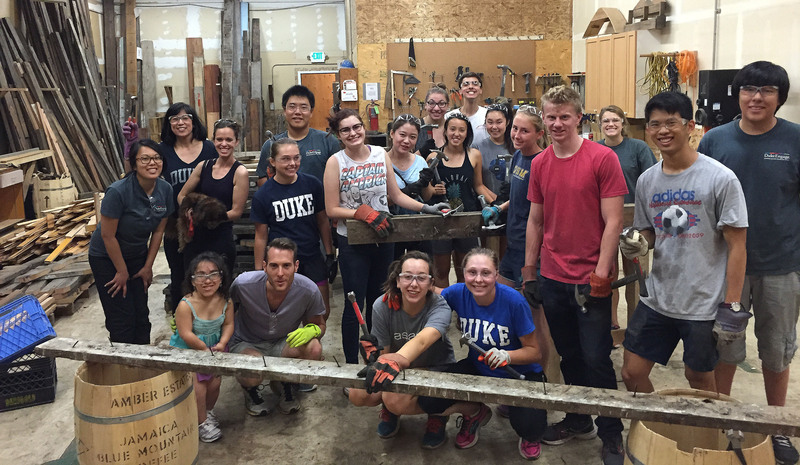 DukeEngage interns, during their summer of immersive service, help out at 118 Designs. We put on our safety glasses and we got to work. The material at our disposal was not first-class lumber. It was discarded wood, punctured by rusting nails – dismissed as useless. The genius of the Mission’s 118 street outreach program is they saw opportunity in the unwanted wood. They saw the wood for its durable properties rather than its rough exterior. We got to work trying to pry the nails out using the back end of hammers. This kind of labor-intensive work humbles. I felt embarrassed, using my entire body to pull a single nail from a block of wood and not getting a budge. The loud ringing from a dozen hammers reminded me that extracting these nails was a communal struggle. After endless swaying back and forth, just when all my physical abilities had been thrown into doubt, the nail slipped out from the wood as if it had never been stuck. At first slowly, and then faster as we developed proficiency, newly refurbished planks of wood piled up ready for use. The 118 outreach program sees their youth through a parallel lens. The program doesn’t try to discard their members’ troubled pasts. The goal is to pry whatever challenges are preventing a stable future, and then use their difficult experiences as opportunities. For instance Ricky argues, what better qualifies a candidate for business or marketing than a history in drug dealing? Managing multiple clients, fostering trusting relationships, and networking a product are all drug peddling skills that within the right framework would translate well to a business setting. Although we only spent a day prying nails, the members of the outreach program spend weeks using the wood to build furniture. They don’t paint over the finished product. They proudly showcase the wood for what it is now – durable and valuable – and for what it used to be – abandoned and useless. This urban style furniture fares well in the marketplace; 118 sold 62,000 dollars’ worth of furniture at their last annual fundraising event, Catalyst. Despite the furniture’s unfinished look, in fact because of its worn appearance, buyers have confidence that no amount of weight can break it. Community Voice Mail was awarded a Harvard Innovations in Government Award in 1993 that led to expansion to 40+ other U.S. cities. Starting on June 15, Solid Ground’s ConnectUp will no longer provide information and referral to the general public about phone and internet discount programs. The Community Information Line at 2-1-1 will provide referrals to phone and/or internet services. Our website content on phone and internet discounts will transition over to InterConnection at the end of June. We will post the link to that content as soon as it is available. 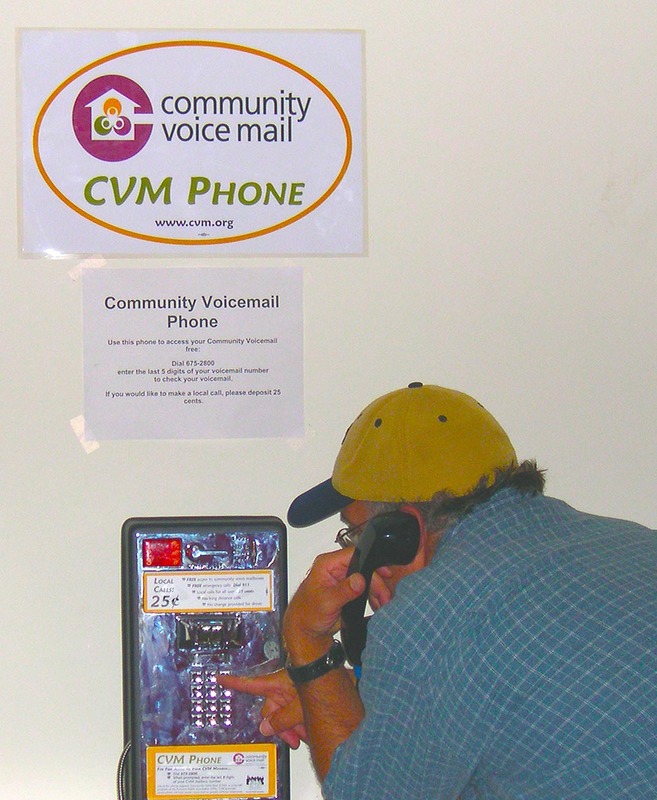 Solid Ground will continue to provide free Community Voice Mail as it has since 1991, when a group of folks at our forebear, the Fremont Public Association, invented the then high-tech idea of linking people experiencing homelessness to community through voice mail. Since that time, tens of thousands of people have used community voice mail to find housing, jobs and vital connections. 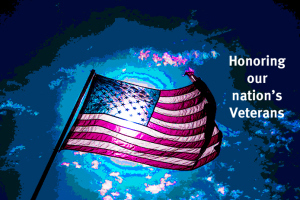 To sign up for free voice mail, call 206.694.6744, Tuesday – Friday, 10am-4pm. ConnectUp’s Resource Wire newsletter will also continue to provide information on job opportunities, social services and free events via email, voice mail and social media to people living on low incomes in Seattle/King County. Sign up for Resource Wire today! Walsh Construction not only understands the needs of the people and organizations they serve, but also anticipates and facilitates meeting those needs with professional expertise. For over 22 years, Walsh has supported Solid Ground’s work in a variety of meaningful ways. Giving back to the community is an integral part of Walsh Construction’s culture and values. As a company and as individuals, they contribute time, talent and finances to numerous nonprofits throughout the year and believe it’s the right thing to do. Walsh Construction’s connection with Solid Ground began through the generosity of their own employees. From 1992 to 2001, Walsh employees contributed individual donations, despite the fact that there was no formal infrastructure for workplace giving. For the following several years, the United Way of King County’s workplace giving campaign coordinated the business’ donations. Then in 2005, Walsh began their own campaign to formally support all employee payroll contributions, a practice they continue to this day. Every year through their employee Community Giving program, they name several community agencies and nonprofit groups – including Solid Ground – as beneficiaries. Walsh matches every dollar each employee contributes, and for several years they have reached 100% staff participation. Walsh employees clearly share the company’s values of generosity and care for the Seattle community. In 1998, Solid Ground (then the Fremont Public Association) hired Walsh to build our current headquarters offices in Wallingford. Then through an open bidding process in 2012, we selected Walsh to develop additional housing on our Sand Point Housing campus. From late 2013 through November of 2014, they served as general contractor for two buildings of non-time-limited housing at Sand Point. Today, Sand Point’s residential facilities total 175 units, 100 for families and 75 for singles. 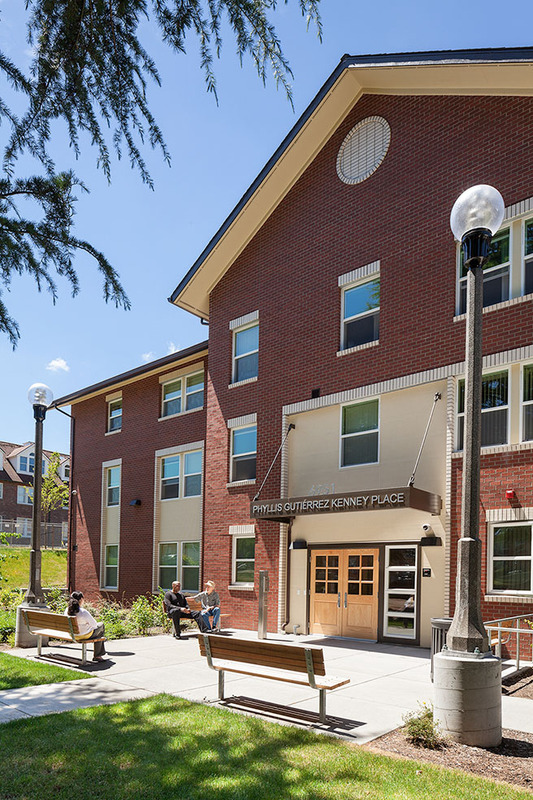 Of those, Walsh built 54 new residences and renovated an additional 42 units. 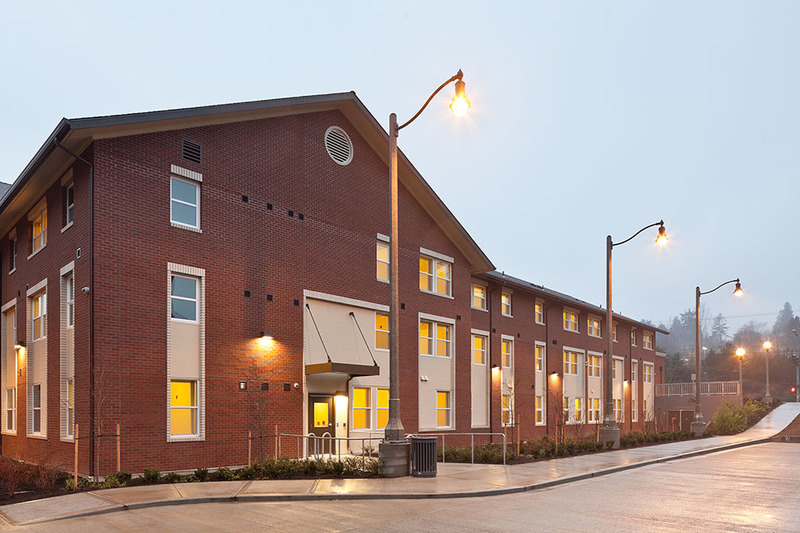 Throughout the process, Humberto Alvarez, Solid Ground’s Planning, Development & Operations Director, was primary contact between stakeholders, and he also oversaw Walsh’s two-phase renovation of the Santos Place transitional housing facility. Humberto says that Santos Place was occupied during the extensive restoration period, and that Walsh representatives were exceptionally respectful to the building owners and inhabitants as they conducted their detail-oriented work. Two buildings at Sand Point were located in a Seattle Landmarks Board Historic District inside Magnuson Park, which was a Navy base before becoming a park. The buildings, while new construction, had to blend in with the historic neighborhood and meet the standards of the Landmarks Preservation Board to complement the original military housing style. Walsh’s excellent work maintained the historic look of the buildings and strengthened the integrity of the structures as well. Throughout each step of the process, contractors, developers and architects met in weekly meetings to cover every detail of the project from beginning to end. By making the infrastructure more energy efficient, money saved on utility expenses could be put instead toward providing services for residents in need. Both new buildings at Sand Point Housing were completed ahead of schedule in early December 2013 – enabling some residents to move in before Christmas! It was especially rewarding for everyone involved to give people transitioning out of homelessness a safe, warm, dry place to live in time for the holidays that year. Walsh has also supported Solid Ground through various annual and special events over the years, including our Building Community Luncheon, which Walsh has sponsored every year since 2011. Recently, Walsh added a personal touch to their support of Sand Point Housing residents through gifts for the children. They donated intricate wooden toys for kids to play with at the communal children’s areas in Santos Place and the Lowry Community Building. The delightful trinkets are made of durable materials that will be enjoyed by many youngsters for a long time to come. Over the last two decades, Walsh has been a consistent, outstanding and professional supporter, and we look forward to many more years of partnership in the future! Recently Girls Giving Back (GGB) – a nonprofit that brings youth and adults together to make a difference in Western Washington transitional housing shelters – completed the last of 31 room renovations at Solid Ground’s Broadview Shelter & Transitional Housing residences for women and children. 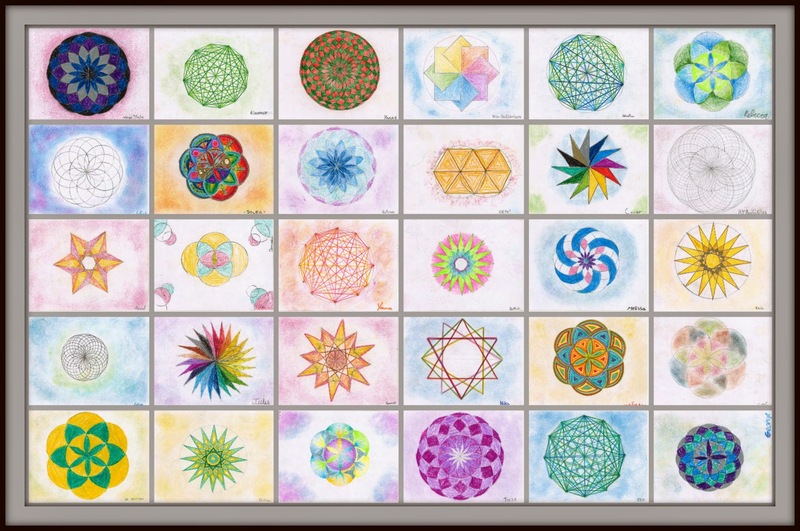 Since October of 2011, over 150 volunteers have collaborated to complete this ongoing project! The crew started their construction revamps by building and installing closet systems into each of the units. These were constructed in a Georgetown woodshop by a team of volunteers and led by woodshop owner, John Kirschenbaum. GGB then equipped every room with interior details including: furniture, bedding, kitchen supplies, bathroom items, and a desk filled with school and art materials. They ️filled bookcases with novels and board games, and placed a fresh stuffed animal on each bed. The GGB volunteers also stocked the cupboards with perishable and nonperishable food, and hung art created by local youth and adults on every wall. By adding all the little things that make a place feel like home, these units now have the cozy comfort of a thoughtfully furnished and decorated living space. Since most of Broadview’s residents are women and children coping with the trauma of displacement and domestic abuse, the pleasant environment of these renovated rooms offers them a peaceful space to develop strong community support systems. Teresa Valley started Girls Giving Back in 2009 with the mission of bringing friends together to do community outreach for social services in need of urgent help. In an effort to create an uplifting environment that fosters hope, GGB focuses on helping local shelters maintain their facilities and provide the basic necessities for the people that they serve. Along with a loyal group of ever-growing volunteers, GGB does everything possible to help improve the lives of those who need it most by donating time, energy and resources to this important work. 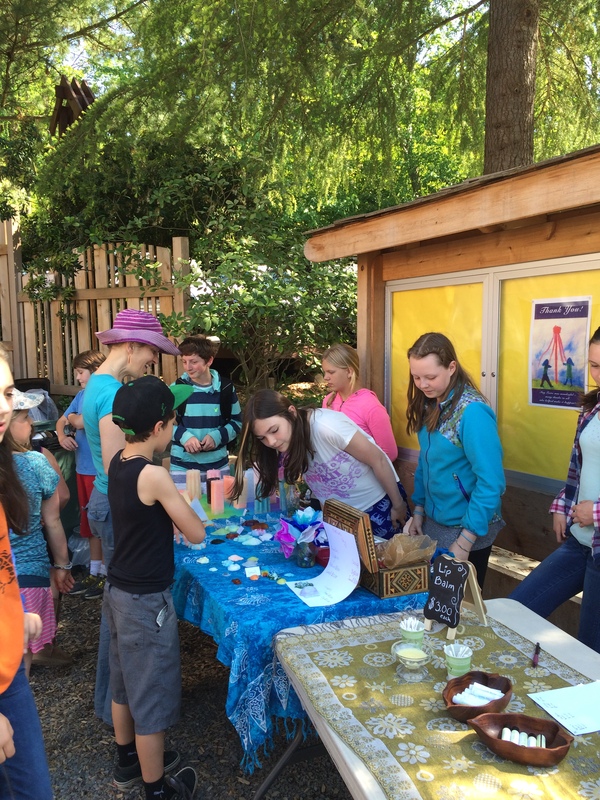 Girls Giving Back inspires hope and brings comfort and stability to individuals and families in need by improving living conditions in Puget Sound transitional shelters. 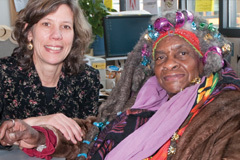 GGB has served the local shelter community since the spring of 2009. We provide extensive updates to transitional shelters including: installing new carpet, lighting fixtures, bathroom fixtures, closet additions and performing minor repairs. Along with these services, GGB replaces used mattresses, furnishes the units with gently used donated items, and accessorizes the units (including artwork created by local-area youth) to create a warm and inviting space for the temporary residents in these buildings. Through GGB’s efforts, individuals seeking shelter are able to experience more than just a roof over their heads. More specifically, by living in this positive environment, they are inspired with hope and encouragement as they move forward with their lives. Thank you, Girls Giving Back, for sharing these gifts with our Broadview families!